New inventions and never-seen-before gadgets are fueling capitalism just like Duracell batteries power pink anthropomorphic bunnies. However, it is anything but simple to create a groundbreaking device from the scratch. What to do when all sources of inspiration have already been depleted? When creative minds have mental blocks, worse than a clog in an old house sewer? The answer is: to go to watch sci-fi movies. The more, the better. The crazier, the better. Cult hits, blockbusters, and lesser known gems. 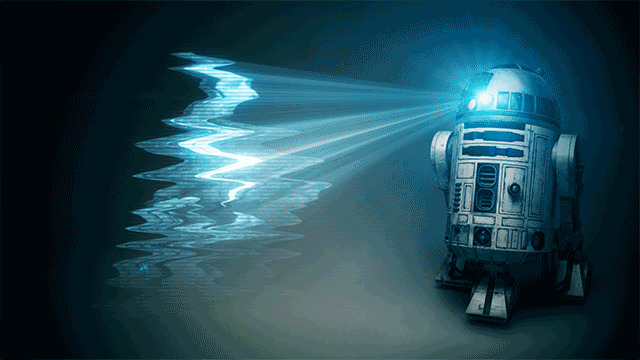 Science fiction is obsessed with impossible tech ideas. Impossible at the time when the movies were produced, but fortunately (and hopefully) progress is an unstoppable sequence of achievements. New scientific discoveries make it possible to produce gizmos that might have been considered 'alienware' just a decade ago. On the other hand, hordes of creators nourish ideas of turning futuristic dreams captured on the motion picture camera into reality. It's little wonder that 99% of tech minds are sci-fi movie buffs, each of whom would sell his or her soul to Darth Sidious for the opportunity to be one who wears the honorable title of 'The Inventor of Real-Life Lightsaber.' Let's have a journey into the world of realized futuristic concepts, each of which proves nothing is impossible for human imagination armed with bleeding-edge scientific innovations. The moment when Arnold Schwarzenegger took a cab with a ridiculous robotic driver, which looked like a ventriloquist puppet rather than a human, was an obvious comic insertion into the adrenaline-ridden blockbuster. However, Google has already designed its self-driving fleet that includes both modified Lexus SUVs and breakthrough prototype vehicles. They can pick up and drop off passengers, travel along ordinary roads directed only by computers. It is just a matter of time when Google's driver-less vehicles will change the transport system around the world. In addition to the omnipresent giant, at least one other huge player on the transportation market will benefit from the 'robotaxi' initiative. You guessed this right! It's Uber, which will cut business costs and maximize the company's profit by leaving its cabbies without work, so in a couple of years your Uber driver's seat might be as empty as Donald Trump's presidential campaign promises. Real robotaxis are commonplace in futuristic Masdar City, which was built from scratch in the United Arab Emirates. The country of Petrol Princes can boast of its own fleet that transports tens of thousand of passengers every month. 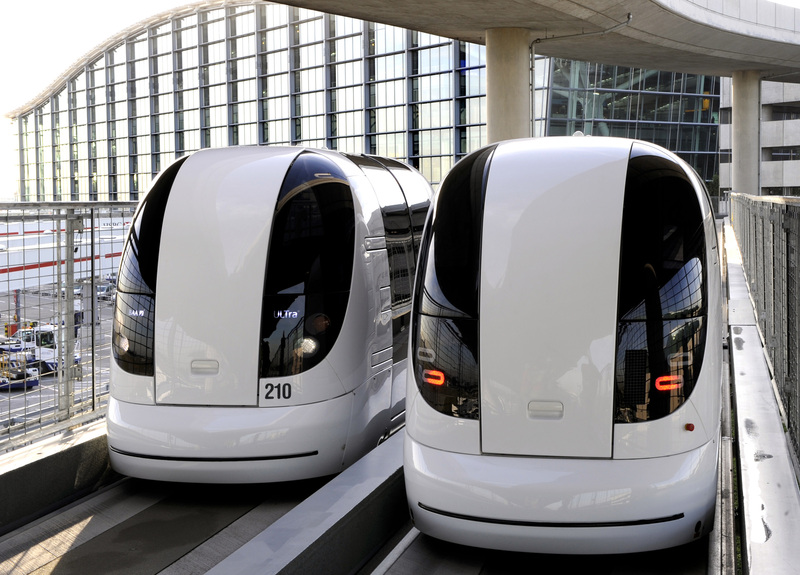 The only snag is that the Masdar City robo-cabs follow a prescribed route without any other traffic on the roads. No one will disagree that this innovation might be a terrific idea in the UAE, but a terrifying plan for, let's say, the NYC's traffic mayhem. LG’s flexible OLED TV is probably the most wow-inducing device on the market of TV panels today. The company's full HD displays can be rolled up and deformed thanks to a technological leap, which took LED TVs to OLED TVs, where the O stands for organic. The innovation eliminates the necessity of a back panel providing light to the screen. Due to this reason, it can bend. Anyway, only real sci-fi geeks remember an ultra horrible flick starring Val Kilmer and Carrie-Anne Moss, which might have been one of the first nails into their careers' coffins. Anyway, the 2000 box-office flop about the rescue mission sent to Mars was the first film that introduced a then far-fetched concept of a rollable display. The glass-cutting technology used for LG's OLED displays can potentially be an ace up LG's sleeve, which can revive the company losing out to local rivals like Samsung as well as Chinese competitors like Huawei and Xiaomi. In the age of increasing use of biometrics and multi-factor authentication, our faces are becoming our personal IDs. Face scanning is an innovation-in-progress technology now available also in smartphones and laptops. It was famously featured in a 2002 tech-noir action hit by Steven Spielberg starring Tom Cruise. The technologically advanced society in the future, as described in 'Minority Report', is controlled by preventive government and intrusive media, which make “the right of privacy a diminishing commodity” through total surveillance executed via face scanning. 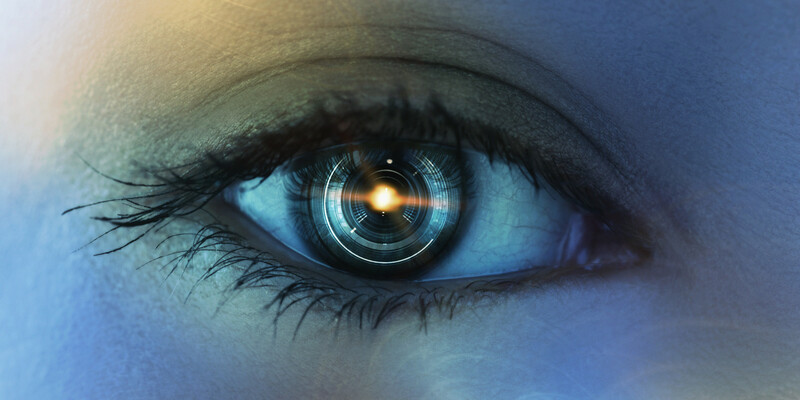 Getting ubiquitous these days and being a great security tool when you're, for example, log into your Dell XPS Ultrabook or Samsung Galaxy SIII, the facial recognition technology is also facing serious challenges. First and foremost, it poses a problem of data transparency, security, and privacy. Just like predicted in 'Minority Report', face scanning can be used against us as a tool of control and surveillance. Big Brother in your pocket might be watching you. The corporations, which produce devices with an option of face scanning, have been already been suspected in invasion of privacy and sharing users' personal data with third parties like various governmental institutions as well as for commercial reasons. 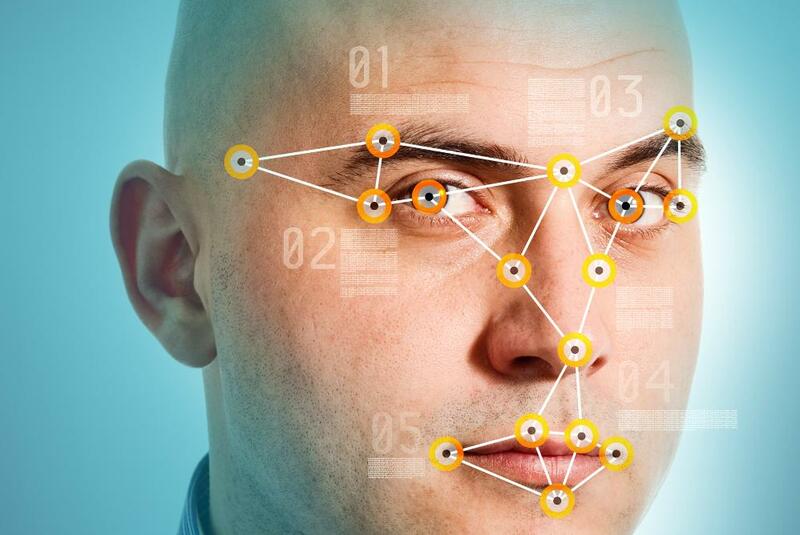 Hate it or love it, face recognition is here to stay. However, legal implications of its use are still to be clarified. A machine, which would put an end to food and resource crises in the world, known as replicator was repeatedly featured in Star Trek series. As explained in the show, the magical device dematerializes the matter and rematerializes it in a new form, be it drinks, food, clothing, or machine parts. Were it invented, the entire system of socioeconomic relationships would undergo dramatic transformations as everyone would have their own supermarket at home. Unfortunately, it is still a sci-fi fantasy, but the first step in making it reality has already been taken. 3-D printers. They won't replicate a cup of Earl Grey tea or a steak on Captain Picard's demand, but the idea of making a material object from a digital file by laying down successive layers has already made a scientific revolution, all benefits of which we are still to reap. Today, 3-D printing can be used not only for manufacturing everything from bikes to apparel, from firearms to teeth, but also for producing solid edible products like chocolate and pasta. Moreover, the idea of bio-printing human organs is getting medical implementation. Organs such as the bladder and urine tubes can now be replaced with three dimensional printed replicas. The research is currently being conducted on creating major organs. The new technology can give everyone a factory at their home and considerably increase human life expectancy. However, it is still evolving and needs to be faster, easier to use, and, of course, cheaper. Princess Leia sending holographic messages to Luke and Chewbacca playing 'chess' with C-3PO are some of the most unforgettable and wow-inspiring moments in the entire Jedi-vs-Sith saga. This is why the Tupac hologram beamed on the stage of Coachella in 2012 took all Star Wars fans to the moon...and back to the earth after it turned out to be a mere optical trick. In 2015, the admirers of intergalactic adventures were given a new opportunity to rejoice. A company called Voxon invented a technology that literally prints light in three dimensions allowing to trick human eyes in such a manner that viewers see real 3-D holograms. The device dubbed VoxieBox is a black box with a stage at the top where an actual hologram appears. Its projections can be seen in daylight and it doesn't require glasses. Moreover, you can feast your eyes on any displayed object from various angles by manipulating it. The holograms are vibrant, rich in detail, and they are not static – butterflies and dragons come to life to every viewer's delight. The sci-fi staple was made real after three decades of tinkering with the technology. It's ironical but Hollywood might be the first to use the innovation. The other possible implementations range from gaming to medical imaging. Although the company requires huge investments to produce devices on a large scale, a product like this is expected to end up in homes and schools in the nearest future.